Service: 10:00 am Friday, September 7, at Holy Family Catholic Church, 9669 Kraft Ave. SE, Caledonia. Cemetery: Ft. Custer National Cemetery, 2:00 pm Friday, September 7. 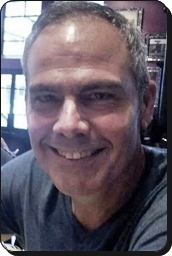 Len Reil, age 57, of Kentwood, passed away unexpectedly on Thursday, August 30, 2018. Len proudly served his country in the U.S. Air Force. He was preceded in death by his mother, Georgia; and a granddaughter, Addison. Len is survived by his wife, Liz; his children, Ryan and Lisa Reil, Joshua and Jennifer Reil, Tiffany and Tieg Darling, Jordan Reil, Alex Merchant; grandchildren, Ryan Jr., Roman, Maddelyn, Makayla, and Benjamin; father, Leonard Reil; sisters, Becky and Connie. A Memorial Mass will be celebrated at 10 am Friday, September 7, at Holy Family Catholic Church, 9669 Kraft Ave. SE, Caledonia. Inurnment will be in Ft. Custer National Cemetery. Memorial contributions may be made to RSD/CRPS.